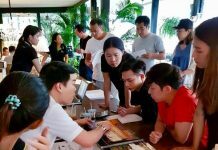 The Real Estate Brokers Association (REBA) held their monthly eastern Seaboard meeting at View Talay Residence 6 in Naklua and June’s meeting was enhanced with a presentation by the Matrix group on their latest in a long line of projects: The Vision. 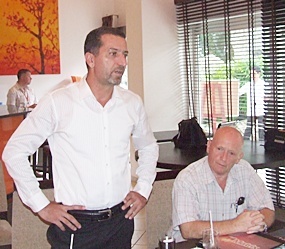 Miki Haim, Managing Director of Matrix, left, addresses the members of REBA during their monthly meeting. 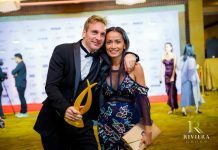 Sales Coordinator for Matrix, Frank O’Neil, went though the key points regarding The Vision which is a project that combines the best of several previous concepts from the builder, topped out with a location that is second to none. This is the first project in the Iguana\Matrix lineup to utilize full floor to ceiling glass, designed to maximize the sea views that are available from 80% of the building’s 216 units. The Vision is the only high profile condo development on Pratumnak Hill that offers direct access to Pratumnak’s ring road – a huge benefit to buyers and investors that use Pattaya’s public transportation system. Furthermore, the plot offers the highest buildable elevation in the city. Because of this, even units on the lowest floors offer stellar views that cannot be matched by Pratumnak Hill’s current competing developments. Fully furnished sea & city view 1 bedroom units can be purchased for as little as 2.4 million baht, with entry level units available at a paltry 1.85 million, offering an acceptably priced entry point for buyers seeking location and amenities over views. Penthouses offer the highest and most comprehensive views on Pratumnak Hill and should be considered by those with the pocketbook for them. 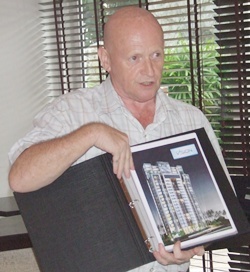 Sales Coordinator for Matrix, Frank O’Neil introduces The Vision condominium project. 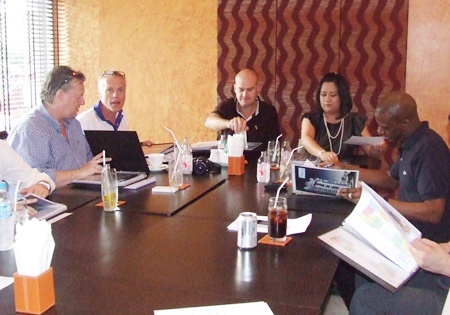 REBA members study the prospectus for the new development on Pratumnak Hill.